#1: A couple of weeks ago, Thea and I attended the celebratory party for Tracy Reese and Timo Weiland's collaboration with Anthropologie. It was delightful to meet the brains behind the pretty frocks and Ms Reese is as lovely as they come. It was inspiring to hear her talk about how her relationship with Anthropologie began, her pattern-design process and the future plans she has for her brands. Thea wrote a great recap here. I DID NOT WANT TO TAKE IT OFF. The dress is very Downton Abbey and I have wishlisted it very hard. #2: The new Barclays Centre in Brooklyn opened ceremoniously with a series of concerts by Jay Z. We are HUGE fans of Mr. Carter, so we headed out to the new home of the Brooklyn Nets for a mid-week show. #3 - After a brief break, I renewed my subscription to the 2012-2013 season of the New York City Ballet. The most recent performance I went to was brilliant - under the theme of 21st Century, the repertory that day comprised of Two Hearts, Year of the Rabbit and Les Carillons. Out of all, I was most impressed by Two Hearts, choreographed by Benjamin Millepied (aka Mr Natalie Portman). The routine was modern and very playful, yet it stuck true to what I consider to be classical ideas of ballet. This modern-traditional swing extended to the black and white, geometrically-patterned costumes designed by the Mulleavy sisters. If the skirts were more opaque I would wear them out in a heartbeat! Love that dress on you and I love those black and white costumes on the ballet dancers! I too love summer and wish it was all year round. Usha, if you weren't so nice I would find it very hard to like you after reading this post! So lucky!! 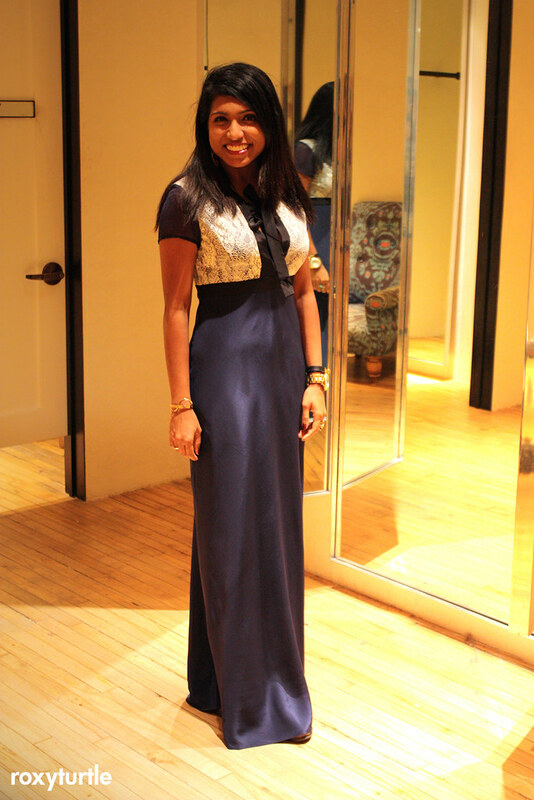 The Timo Weiland dress looks gorgeous on you, it's perfect for a gala or red carpet. Very high society indeed!